Most Rev. 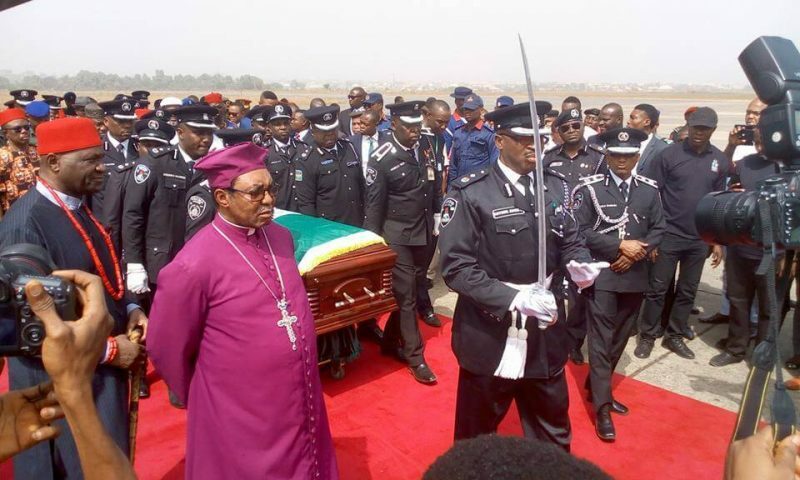 Dr. Emmanuel Chukwuma, Bishop of Anglican Dioces of Enugu charged politicians to mend their ways for towards the inevitable end which is death. Speaking at the Interdenominational Commendation Service held in honor of late Dr. Alex Ekwueme, He criticized politicians and the Nigerian government for their inability to put the nation’s health sectors in order which has resulted in flying abroad for medical treatments saying it is a disgrace to the health circle in Nigeria. This is because politicians fly abroad for medical treatments when there is no Panadol in the state house clinic. The best place to start fighting corruption is to make sure there is panadol in state house clinic. He said. He charged politicians to emulate the legacy put in place by late Ekwueme, who did not believe in bribery and rigging. Late Ekwueme worked harked to earn a good living before joining active politics. He was technical consultant to World Bank projects and left politics being poor, that was why he could stand against corruption. Pointing that, today, politicians get into politics with corrupt tendencies and even the present president came into power through corruption. He said. Bishop Chukwuma pointed out that it was Buhari that sent Ekwueme to prison 32 years and 32 years after Ekwueme dyed under Buhary’s government. He called upon the South east governors to reject cattle colony because it will never be allowed in the South East. He insisted that cow colony will be resisted by the people and he will join force with CAN to reject cow colony. We don’t want cattle colony here, Audu Ogbeh shout take them to Daura, Sambisa Forest, and we don’t want them here. He insisted that the Python Dance we had here is enough and they must go.